Crispr, the gene editing tool is set to spark a ‘genetic revolution,’ one problem, no one knows the consequence. In America, ethics and regulation hold back scientists from leaping ahead in the field of genetic engineering, but in China, those rules do not exist, which is why China is leading the charge on genetic engineering. Just like in manufacturing American regulation thwarts the use of harmful chemicals in children’s toys and limits corporations from abusing human rights. However, those rules do not exist in China thereby items can be made cheaper although they may be toxic. However, in America, a loophole exists, which biohackers regularly exploit. Josiah Zayner, a former NASA scientist now biohacker, has turned his residence into a fully functioning lab and made himself the first human to alter his DNA. Gene editing is not illegal, although it is exuberantly difficult to obtain federal funding, which is how Josiah is able to operate his company. Those involved in the biohacking movement, champion Crispr as a revolutionary tool to edit DNA. Josiah explains that by using CRISPR, he can edit his own DNA for under a thousand dollars, whereas prior to Crispr it may have cost him a significant fortune. Further explained by Lai was how the discovery of Crispr is similar to the atomic bomb, it can be used for good or for bad depending on the user. Given the volatility of this tool, and the ‘ease of use’ logic would claim that this tool could be detrimental in the wrong hands, but according to Josiah, who sells gene editing kits for $150, that won’t happen. However, in addition to the ‘concern’ of Dr. Lai, the co-founder of Crispr, Dr. Emmanuelle Charpintier from the Max Planck Institute in Germany, is most concerned about human enhancement, or designer humans. According to Dr. Charpintier; “I really expect, and this is maybe the most exciting aspect for me of Crispr, is that there will be a lot, a lot of new mechanisms revealed. Maybe former dogmas that will be challenged.” Josiah, the former NASA scientist also stated; “People say that you’re playing God, and I love when people say that, I think it is so true and brilliant.” In addition, Dr. Lai said that Crispr gives humans the power to ‘control’ human evolution. 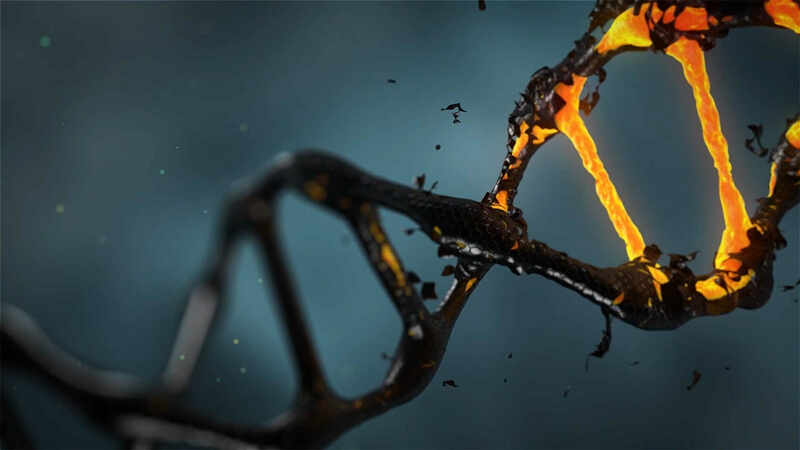 Across the board, scientists believe and hope to control, or play in part as gods, to the very design of life and Crispr gives them that ability, but what scientists fail to realize is the consequence of their actions. The Bible accurately and historically depicts what happens over and over again, when man attempts to claim or play the role of God, society falls. With Crispr as the acclaimed champion of genetic engineering, what could go wrong? Unintended mutations. In May 2017, an enormous flaw was discovered, as clinical trials were afoot, Crispr showed it’s first ‘chink.’ The study, published in Nature Methods, found that the gene-editing technology can introduce hundreds of unintended mutations into the genome. “We feel it’s critical that the scientific community consider the potential hazards of all off-target mutations caused by CRISPR, including single nucleotide mutations and mutations in non-coding regions of the genome,” says co-author Stephen Tsang, MD, PhD, the Laszlo T. Bito Associate Professor of Ophthalmology and associate professor of pathology and cell biology at Columbia University Medical Center and in Columbia’s Institute of Genomic Medicine and the Institute of Human Nutrition. However, several months later, November, human trials are once again afoot. Brian Madeux, a 44-year-old, requested to receive billions of copies of a corrective gene and a genetic tool to cut his DNA in a precise spot to cure a disease. Signs of success, are months out, but if the gene edit can prove effective, it could give a major boost to the fledgling field of gene therapy.